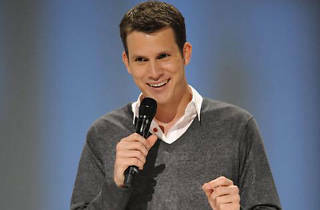 The host of Comedy Central’s hit show about Internet videos, Tosh.0, was making waves on the standup scene long before he broke through as a television mainstay. It’s hard to believe that his debut hour, Completely Serious, is already a decade old, but maybe that’s because there have been so many knockoffs since it came out. Tosh remains relevant in both mediums and is still a huge live draw.